Experience Humpback Whales, Orcas, Pacific White-Sided Dolphins, Bears, and other marine mammals in their natural habitats throughout Discovery Passage and the surrounding islands. Spend a whole day with us travelling to the Orford River to see Grizzly Bears from land-based viewing platforms. Join us on a one-of-a-kind Ocean Rapid tour to see where whirlpools build into a saltwater river of wonder. 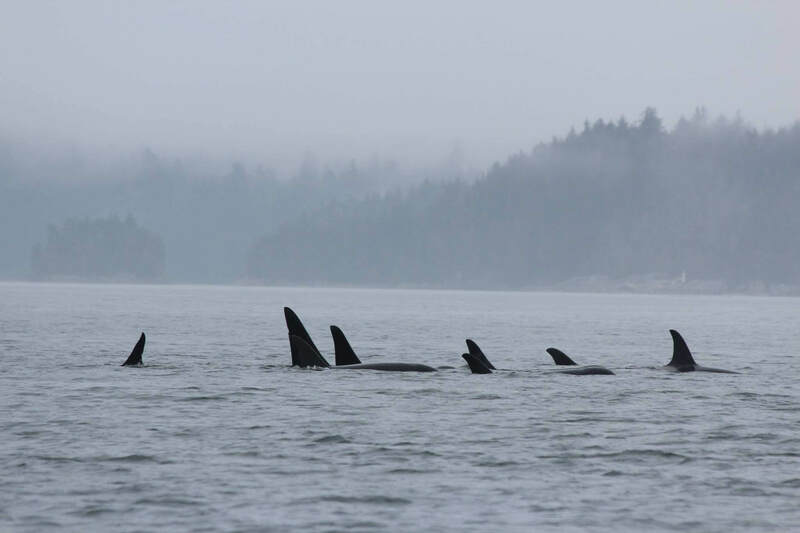 Optimize your Campbell River experience with our time effective wildlife tour and see whales and wildlife throughout the Discovery Passage and surrounding islands. Located in Campbell River, B.C., we invite you to experience some of the best Killer Whale and Humpback Whale sightings on Vancouver Island. Meet our experienced, professional, and qualified crew and learn how Campbell River Whale Watching grew to be the biggest whale watching operation in Campbell River. We pride ourselves on maintaining a high standard which has been recognized through a number of different awards.